VILLAS AND APARTMENTS TO RENT ON THE COSTA CALIDA, SPAIN. 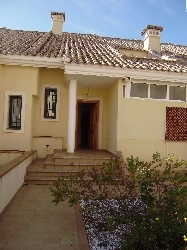 Welcome to our selection of holiday homes to rent on the Costa Calida, Spain. The Costa Calida extends along 250km between the Costa Blanca and the Costa Tropical with a temperate climate and over two hundred fine sandy beaches it makes the ideal location for the holidaymaker. Mar Menor is the world's largest pool and is a shallow logoon with warm water. Seperating the lagoon from the Mediterranean is a strip of land home to the world famous La Manga resort. West along the coast is Puerto de Mazarron with a good selection of cafes, restaurants, bars, shops and a lively nightlife. Looking for self catering holiday accommodation on the Costa Calida? Then below is a selection of holiday apartments on the Costa Calida and holiday villas on the Costa Calida that can be rented direct from their owners. You can either click on each listing for further details or you can use our search engine on the left if you are looking for something in particular.